Dearness Allowance(DA) and Industrial Dearness Allowance Rates(IDA) from 1.1.1996 till now. Dearness Allowance(DA) and Industrial Dearness Allowance Rates(IDA) from 1.1.1996 to 1.5.2013. This is one information employees of all Government, Semi-Government, Public Sector Undertakings, Autonomous bodies require at some point of time. It is required most by the dealing hands in the Paybill section of all the above listed entities and sometimes by individual employees. 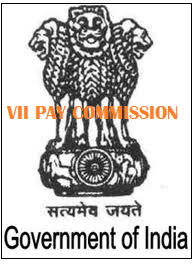 I have compiled data listing rates right from the date of implementation of Vth Pay commission to the current date i.e. from 1.1.1996 to 1.5.2013. Errors, if any may kindly be brought to the notice of Admin. A special thanks to Mr.Mohan John, who helped me in compiling this list. Copy the contents in a excel sheet for your use. For more information related to Government employees visit here. Please subscribe for instant emails from the Subscribe Now box. Your comments are solicited in order to improve on any part of the website.